One of the things I love about living in Point Grey is being close to the water. 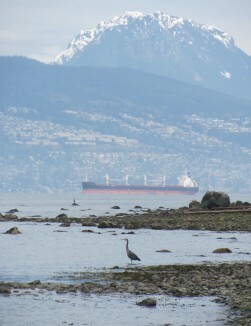 Cycling or jogging along the beaches are favourite activities, but even the sight of the North Shore mountains across Burrard Inlet is refreshing. It’s good to step outside and experience the natural world when I need a break. Westside real estate enjoys access to some of Vancouver’s best parks, not to mention one of the largest – Pacific Spirit Regional Park. It’s located adjacent to the University neighbourhood, putting miles of forest trails within reach of everyone. Spring brings the forests alive with wildflowers, so it’s a good time to discover a new trail if you’re looking for an afternoon or weekend break. Some are rough, and some are maintained for bikes and even horses. There’s something for everyone, and room to share. Kitsilano and Spanish Banks beaches may be great for picnics and sunbathing, but Point Grey is home to more secluded stretches of waterfront, too. While much of the shoreline is considered clothing optional, the north side – which includes Tower Beach and Acadia Beach – is largely family-friendly, at least until summer’s heat cranks up. Weekend mornings are a good time to retreat for some quiet and reflection. Shorebirds abound, as well as hummingbirds and others. Tidal pools harbour crabs, and on a recent morning people were casting nets for fish. 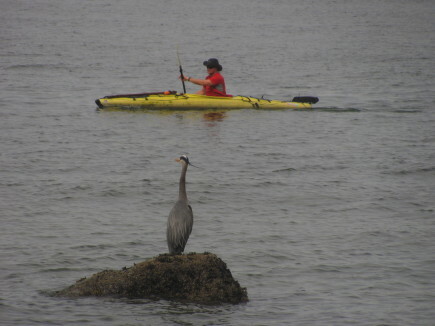 A kayak is one way to get out on the water, and closer to nature. One way to explore the beaches is from the water itself. Kayaks are available for rental in Kitsilano and elsewhere. And, if you’re tired of being at sea level, the views of the North Shore mountains just might inspire you to climb one. Grouse Mountain is a good place to start, with trails leading up its slopes and to many of the mountains that form the spectacular backdrop to Point Grey real estate.